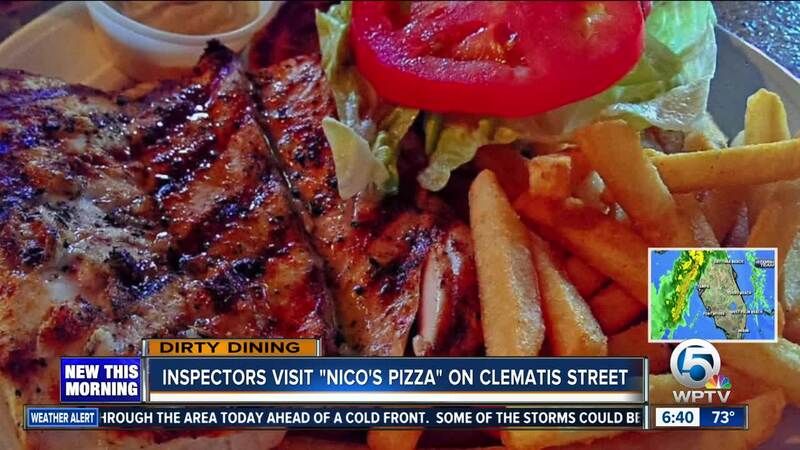 A Clematis Street pizza restaurant in downtown West Palm Beach was temporarily closed last week for sewage leaks. State inspectors say sewage and wastewater were backing up through floor drains at Nico's Pizza Italian Cuisine on Clematis Street. Inspectors say employees were "walking through waste water in the back prep kitchen, trying to keep waste water from entering their hot line kitchen." Both men's and ladies' bathrooms were not working and toilets did not drain when flushed. Inspectors also temporarily closed down the 19th Hole Bar and Grill on Woodland Drive in Vero Beach for rodent activity. Inspectors say they found more than 60 rodent droppings around the kitchen and bar area.